NEW PRICE, below assessed value--bring your offers! Welcome to the Highlands at Ocean Point! This beautiful townhouse is a sought after sun-filled end-unit with a garage! It features gorgeous panoramic ocean views of White Horse Beach with an exclusive association walkway leading you to a private beach! Enjoy everything this condo has to offer--relax on your private deck while watching the breathtaking sunrise, spend the day at the beach, cool off in the in-ground pool, play some tennis or kayak at Scokes Pond. This condo has a bright & open floor plan, great for entertaining and views of the ocean from most rooms. It features fresh paint, new carpets, a new hot water heater, central AC, a garage and plenty of storage space. Close to shopping and restaurants in Manomet Center. Home is where the beach is! Come and enjoy the good life at Ocean Point. Don't miss the chance to see this beautiful townhouse! 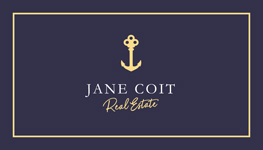 The listing office is Jane Coit Real Estate, Inc. and the listing agent is Lisa Mahaney. The property listing data and information, or the images, set forth herein were provided to MLS Property Information Network, Inc. from third party sources, including sellers, lessors and public records, and were compiled by MLS Property Information Network, Inc. The property listing data and information, and the images, are for the personal, non-commercial use of consumers having a good faith interest in purchasing or leasing listed properties of the type displayed to them and may not be used for any purpose other than to identify prospective properties which such consumers may have a good faith interest in purchasing or leasing. MLS Property Information Network, Inc. and it's subscribers disclaim any and all representations and warranties as to the accuracy of the property listing data and information, or as to the accuracy of any of the images, set forth herein. The data was last modified on 12/18/2018 2:44:00 PM.